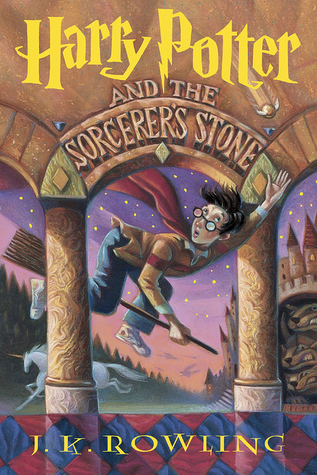 Confession: I saw Harry Potter and the Sorcerer’s Stone in the bookstore before it was a full-blown thing. I picked it up and it sounded interesting, but I only had enough money for one new book that day and had already decided to spend my money on something else. I didn’t read the series until my mom picked up a copy at the airport and binged the first three books over a weekend. She passed them onto me, I binged them over a weekend, and things have never been the same since. It’s certainly not a perfect series, but I love its approach to doing what’s right and how often the lines between right and wrong are blurred. If you’re still into the Harry Potter hype, make sure to check out Life Lessons Harry Potter Taught Me by friend and fellow Hufflepuff Jill Kolongowski and the Harry Potter and the Sacred Text podcast, which I’m currently listening to and loving. 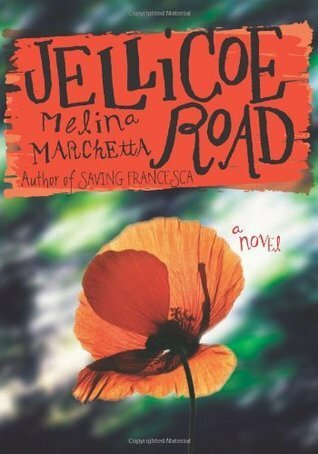 For years, I wondered how Jellicoe Road won the Printz medal in such a strong year. It couldn’t be that good, could it? Um, guys–it’s EVEN BETTER. 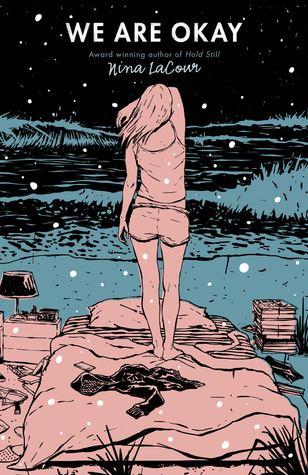 It’s possibly my favorite YA novel or novel in general. It’s a beautifully crafted book about family, loss, love, friendship, pain, stories, and more. 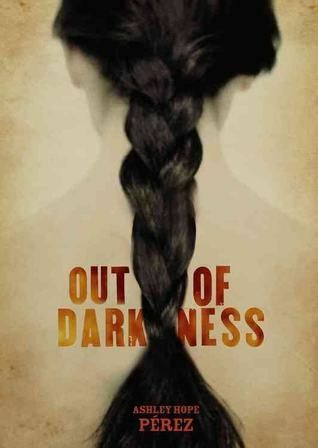 It’s also got all the things I love–boarding schools, family secrets, enemies who become friends, deep trauma, ultimate hope. So. Friggin’. Good. Things I’m not great at reading–series and sci-fi. With series, I tend to read one and then not read the second until way later. Even if I loved the first, it generally takes me forever to circle back around. And my tastes run more toward contemp than sf/f, so the sci-fi books I read tend to be even further in between. I’d heard good things about The Lunar Chronicles, but figured they wouldn’t be quite my bag. 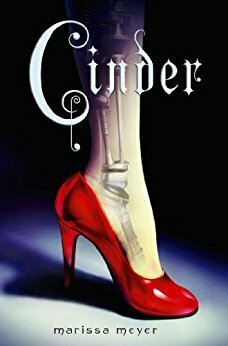 I finally read Cinder and really dug it. By the time I read Scarlet, I was hooked. I immediately put in requests for the rest of the series from the library and tore through these fairy-tale-inspired space adventures. Super fun and super recommended. Another example in which I read the first book and ended up devouring the whole series. 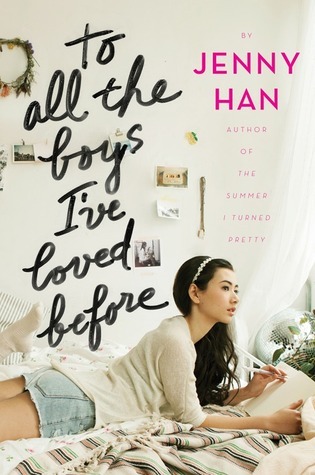 I expected a fluffy but maybe not engaging book when I read the first one, but man, I just fell in love with Lara Jean and the supporting cast. The plot is fun and high-concept (Lara Jean’s secret love letters to boys she’s crushed on accidentally get sent), but what sticks with me is this very real world of people and their very real relationships. Lara Jean’s family live is just as engaging and present as her life at school and with her friends. I loved seeing Lara Jean come out of her shell, confront some fears, and ultimately make her way into the world. I would full-on read two whole series about Lara Jean’s sisters. Please make this happen, Jenny Han. 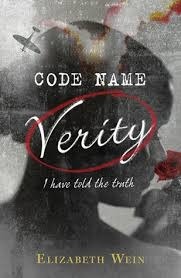 Much like with Jellicoe Road, I put off reading Code Name Verity for a while because of the hype. I was worried that the high expectations would make me not as into the book, which generally seemed up my alley (literary historical YA fiction about two female friends). When I finally read it, I stayed up late to finish it and then, the next morning, demanded that my husband read it immediately or I’d have to tell him everything that happened because I had too many feelings. I followed up shortly after with Rose Under Fire, which is not exactly a sequel (it’s mostly about different characters) but in a related universe, and is just as powerful and well-written. At least I read this one before it won the Printz, so maybe I’m getting better about actually reading books that have hype and that sounds like books I’ll really enjoy. This one was right up my alley–family secrets, first year of college, coming out, falling in love, found families–and it fully delivered. I finished it on an airplane and immediately wanted to make everyone else on the plane read it, too. Odd note: I bought this at the same time as I bought To All the Boys I Loved Before, after I got a flat tire and felt like I deserved a reward for not falling apart about it. I read this before I saw the movie, which already looked awesome. Fortunately, the book is just as good if not better. I know. It’s a big claim, but guys this book is so good. 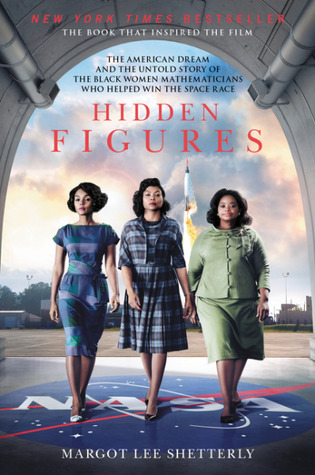 Shetterly sheds light on a piece of lesser-known history and shares the stories of black women who made space travel possible. When I finished the book, I immediately went to Goodreads to look up everyone who (correctly) gave it five stars and then got irrationally mad at any review that was less than five stars. It’s the top nonfiction book I recommend to people, because it’s so powerful and uplifting and well-written, and it should be required reading for everyone in America. Remember when I said I don’t do a lot of series or sf/f? Double that for books by straight white guys. (I figure it’s more worth my time to read underrepresented voices in a literary sphere that is still very guy-heavy in a lot of ways.) I’d heard good things about Pratchett’s expansive Discworld series, but it felt too large to dive into, and besides, did I want to read another straight white dude’s fantasy series? But a trusted librarian friends insisted that the series was worthwhile, and that I should actually start in the ‘middle,’ with the Tiffany Aching books, which are about a young girl who becomes a witch. I ended up listening to all of the Tiffany audiobooks as I trained for my second marathon, and I legit looked forward to long runs so I could spend time in Tiffany’s world. Since then, I’ve started listening to some of the early Discworld books (specifically, the Witch ones), and still love them. 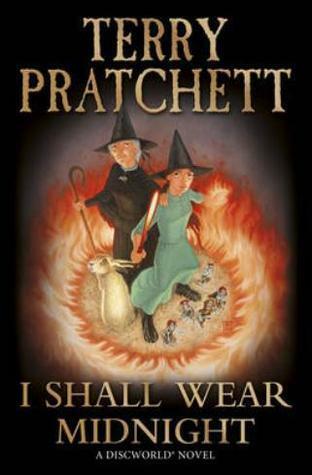 Terry Pratchett, I’m sorry I ever doubted you. I’d heard Grace Lin speak years ago at an NESCBWI conference, where she was fantastic, and had friends refer to her books as the best ever, but it still took me a while to finally read Where the Mountain Meets the Moon. I don’t even have a reason for why it took me so long! But man, did I fall in love with this beautiful book about family and stories and sacrifice and courage and friendship. Grace Lin is one of the top middle grade and picture book authors working today, and this book knocks it out of the park. Much like Code Name Verity, this was a historical YA novel that I expected would be up my alley, which made me worried that the reading experience wouldn’t hold up. Instead, I was struck by a powerful book that made me feel like my emotions had been dug out with an ice cream scoop–which to me means it’s a great book. Also like Wein’s books, this one is not an easy read, but it’s a stunning look at a little-known part of history with a cast of heartbreaking characters and a true gut-punch of an ending. What are your favorite hype-able books? Share ’em in the comments, or share your own Top Ten Tuesday post! Top Ten Tuesday is now at That Artsy Reader Girl, so make sure to head over there to check out all of this week’s posts and future topics. Harry Potter made my list, too. I’ve binged that series (and the movies) so many times.